I have an admission: I have trouble letting anything go to waste. As I cleared the many, many, fallen pine cones from my front yard before mowing, my mind started clicking about the possibilities. Lots of Ammo, I mean, Pine Cones! Yes, I could just pile them in a heap in the back yard for my boys to have a pine cone war. As much as I know they would LOVE this, I decided to try a gentler approach. 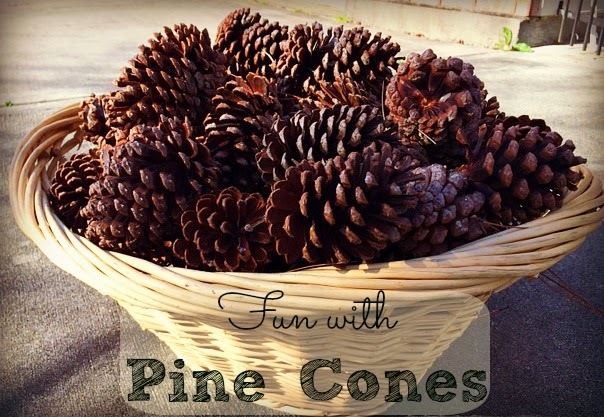 I scoured the web-o-world for pine cone activities that my guys would actually enjoy. Red Ted Art shares a fun pine cone mobile that is the perfect follow up to a nature hike. I love it because it teaches balance and weight and planning. Open Ended Art For Children The owl. Just look at the owl. I LOVE it! Ok, so this one is for me. The boys might like the owl, but I don't think I'm fooling anyone. If James can turn it into a fluffy shark or porcupine fish, we might be in business. Zing Zing Tree This one is super fun. The kids get to let their imaginations run wild. Glue on some eyes and hand them some felt and away they go! I really liked the lion. 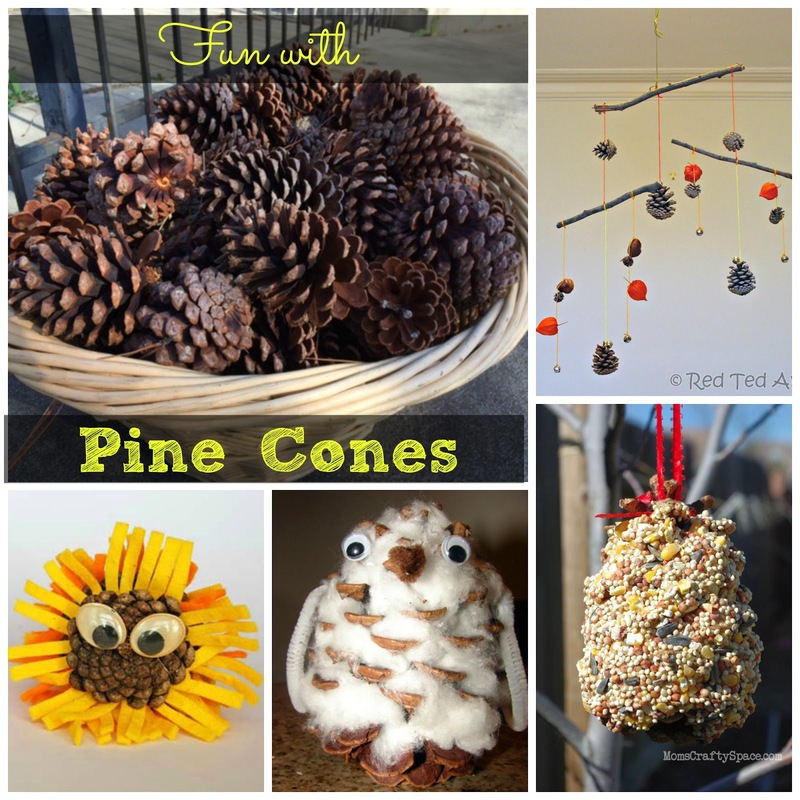 Happiness is Homemade shares a great tutorial on making a pine cone bird feeder. 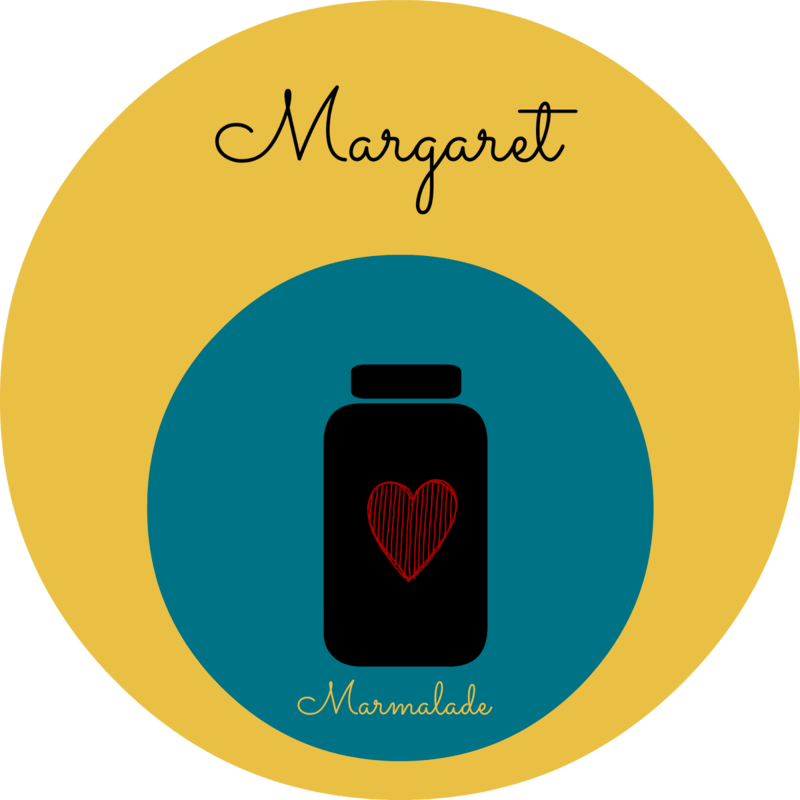 This one does use peanut butter, but there are others out there that don't. I think my boys will like this one a lot. Or I could give in to the boys and order a couple of these sling shots.